As we wait for a new album, we are probably not the only ones keeping our eye out for news that new songs have leaked on some platform or another. 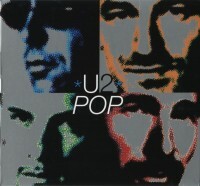 Since the release of Pop in 1997, there has been a history of the newest U2 album showing up in advance of the actual street date with the exception of the latest album. And whether you are one to take the early leak and listen, or prefer to wait until the final release, we thought we would look back at some of the more memorable leaks since 1997. The album release date for Pop was set to be March 3, 1997 in Europe, and it was the first album where the band had to deal with leaks of music on the internet. “Discothèque” and “Wake Up Dead Man” were the first two songs that leaked with 30s clips appearing on October 26, 1996. These were taken from an advance video EPK that was sent from Island Records to keep interest high in the project when the album was delayed into 1997. A Hungarian fan was identified as the source of these leaks in several reports. Only the two songs leaked at that time, and both were little more than snippets. 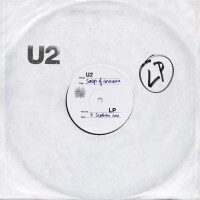 The entire version of “Discothèque” leaked on December 27th, and U2 allowed the radio stations to begin playing the song as of that date, in advance of the planned date, to counter this leak. The first official play was by Dave Fanning on 2FM in Dublin, on Jan. 7, 1997 at 8:30pm ten days after the initial leak. Not only were there digital leaks, but in western Canada, a chain of record stores, A&B Sound, began selling Pop five days early, releasing the album on February 28, 1997. PolyGram took action against the chain by withholding new releases for a time, but not before albums were sold, and the remainder of album tracks found their way to the internet. Although not a traditional album, the fan club album Hasta La Vista Baby! was the first album to leak in full right from the start, and it leaked months before the actual album was mailed to subscribers. 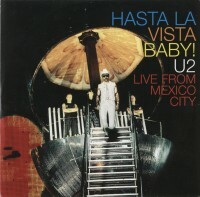 In April 2000, an error in production, resulted in a limited number of copies of the Hasta La Vista Baby album being put up for sale in an online store. Most users on the mailing list u2-list assumed that this was a bootleg from the Mexican concerts being passed off as the widely anticipated fan club release. But it was indeed the final mastered version of the album being prepared for distribution by the fan club. Before this mistake was caught and fixed, a copy of the album was posted online in April of 2000, four months before copies of the CD would begin arriving in subscribers’ mail boxes. 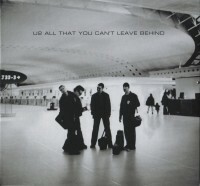 The release of All That You Can’t Leave Behind was planned for October 30, 2000. But about two weeks in advance of the actual release date, a full copy of the album appeared on the internet from a promotional in house disc circulated by Island Records. All That You Can’t Leave Behind leaking two weeks prior to the release date was a pattern that followed in subsequent releases. The band had attempted to head off such a leak from happening. 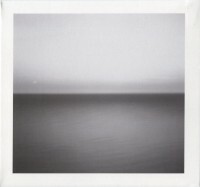 Throughout the promotional campaign for the album the band had on a number of occasions offered up snippets of the new songs through the recently opened U2.com, and also had issued a promotional disc with snippets of three songs, as well as the first single “Beautiful Day”. 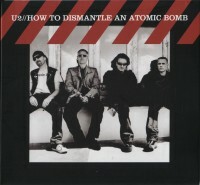 In July 2004 a CD containing six unfinished tracks from the album How to Dismantle an Atomic Bomb was stolen from The Edge during a photo shoot in France. In response, U2 announced that if the songs leaked online they would release the album immediately through iTunes. Those unfinished tracks were never leaked, but much later, on November 6, some finished tracks were leaked from a copy of the album, two weeks in advance of the release date of November 22. It is widely thought that those tracks that initially appeared were from a review copy of the album that had been pressed by Island Records, but indeed they were leaked from a stolen copy of the disc from the pressing plant. Later, a version of the album with an alternate track listing was also leaked, including one additional song, “Mercy,” that was not included on the final album. The lyrics of the song however, could be found within the book accompanying the collector’s edition of How to Dismantle an Atomic Bomb. Although cut at the last minute, it was also further developed during sessions for 2009’s No Line on the Horizon. “Mercy” did not end up on that album either, although the band began performing it live in 2010, and a live recording was included on the “Wide Awake in Europe” EP that same year. As of this writing, a studio version of “Mercy” has not been officially unreleased. It is thought that this second leak of tracks from How to Dismantle an Atomic Bomb may have come from the stolen disc, or perhaps another early copy of the album that been shared. This one has to be one of the more interesting leaks. The album was set for release on February 27, 2009 in some parts of Europe. And Universal Music took significant steps to stop the album from leaking online ahead of these release dates as the prior two albums had leaked. Review copies for journalists were watermarked with the identity of the reviewer to whom they were sent. In many cases, pre-release listening sessions were held for groups of critics, rather than sending review copies of albums to individuals. All of these measures proved futile, however, as Universal Music ended up leaking the album themselves. Yes, themselves. The Australian site getmusic.com.au, a branch of Universal Music, put the entire album up for sale digitally almost two weeks before the official release date. Although they quickly recognized the error and moved quickly to remove it from the internet, it was too late and began to show on file sharing services. And before long the songs were available to be heard on a number of sites. Due to the leak, U2 began offering the album as a streaming offering on the bands MySpace page, starting a week before the release date, on February 20, 2009. Perhaps the biggest surprise with Songs of Innocence is the album did not leak. News of the album didn’t leak, and even up until the morning of the press conference at Apple, fans were not sure that there even was a new album. But in the hours before the conference cryptic emails from U2.com started to appear. People didn’t know what to expect, a new single, announcement of a new album, a new version of the U2 iPod? But before the meeting was over we were all downloading the new album into our iTunes accounts. Perhaps there will be some surprise surrounding the next album that is due, Songs of Experience. They’ve managed to do it once. But already fans suspect they may have heard one of the songs after DJ Kygo played “You’re The Best Thing (About Me)” at a festival in his hometown in Norway in August 2016. The same song could be heard in audio recordings a fan made outside of Bono’s house in the South of France earlier in the summer. A second song, possibly titled “Love is All We Have Left” may have made a September appearance in an Instagram video posted by Edge’s wife. For those who are interested in more reading on music piracy and how it all happens, The New Yorker published an article called “The Man Who Broke the Music Business“ in April 2015. The article identifies a man by the name of Dell Glover as the person who leaked U2’s How to Dismantle an Atomic Bomb in 2004. The article is a fascinating look at the music piracy which has lead to many of these leaks.